I turned 18 this year, and that makes it official: My parents have successfully raised me through my childhood. I, of course, appreciate every single sacrifice they made for me, but what I am most thankful to my parents for is that they have raised me and my brother in a home where living compassionately is part of who our family is and how we do life. It is messy, yes. 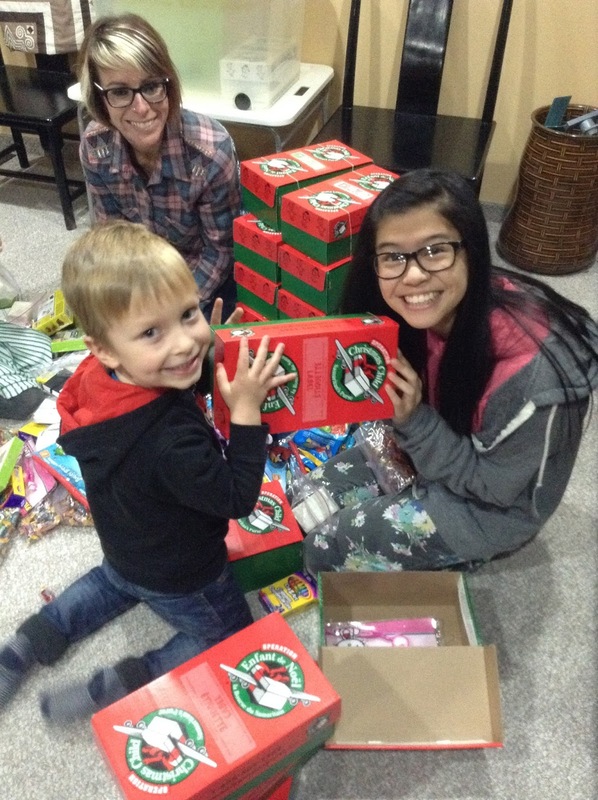 But it is also full to the brim with joy, redemption and hope. So I was thinking, through these lazy summer days, how do I best share our story of living compassionately as a family and encourage families like ours? 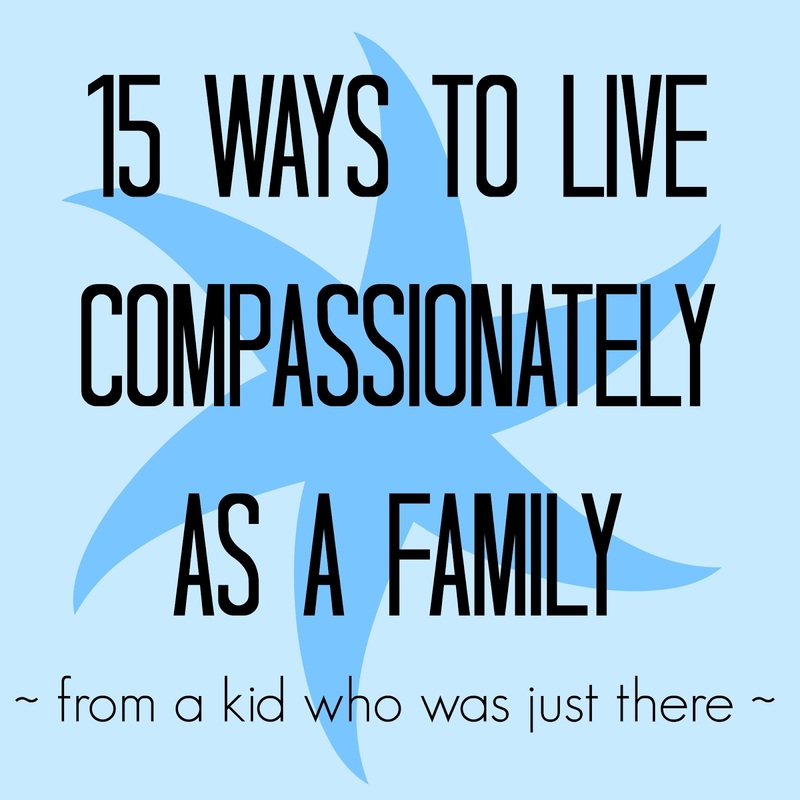 from a kid just on the other side of 18 who knows first-hand what it's like to be raised in a home where living compassionately is part of our DNA. This list is split into 3 parts: Awareness, Action and Lifestyle. I'll explain along the way. Understanding why compassionate living is important to us, our world, and our walk with Jesus was so important to me and who I've become. 1. Do Step Into My Shoes together! Designed by Compassion International for families, Step Into My Shoes is a curriculum full of resources to help your family understand poverty & what God wants us to do about it. Check it out: www.stepintomyshoes.ca. 2. Pray for the World. Here's a good place to start: www.operationworld.org. We did this for a while when my brother and I were younger. Learning about the struggles of people all over the world and learning how to pray for something other than my own little world was an eye-opening, worldview-shaping experience. 3. Devo Together. Do justice- and compassion-centred Bible time together. 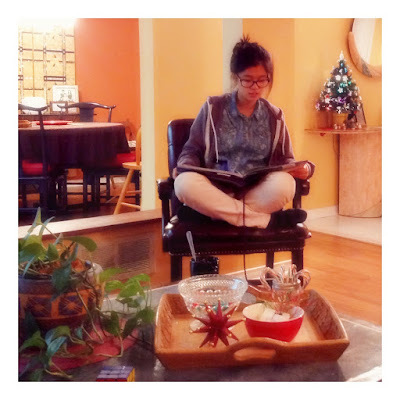 Christmas 2014 - Reading from Ann Voskamp's Advent Devotional, Unwrapping the Greatest Gift. 4. Read Compassion-Centred Books. As a family or individually. 5. Watch Compassion-Centred Movies. Documentaries that tackle a certain issue or ones you'd find in your local movie theatre that simply carry a compassion-centred message. Pretty self-explanatory - Faith without works is dead... Engage your family in a living, breathing, moving faith. 6. Stop For Panhandlers More Often Than Not. This is probably the thing that my parents exemplified to us growing up that had the biggest impact on me as a child, because without thinking twice, they would interrupt our everyday life to buy a panhandler a meal. This is so normal to my brother and I that we eventually started doing it on our own. This gesture, however small, can have a big impact... both on the panhandler and your family. 7. Sponsor A Child. 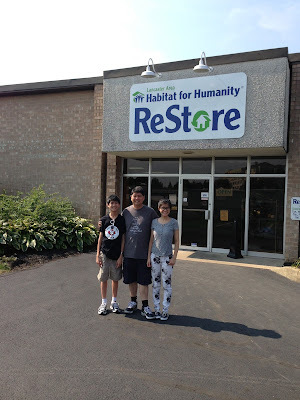 This is where our family's story in compassionate living really started getting intense. It opened our eyes to this huge world of need and hopelessness, as well as the redemption and hope that is truly within grasp. We could no longer turn a blind eye. Big side note I'll add to this: WRITE to your child!!! It's a fantastic family activity and it means the world to your little one on the other side of the globe. May 2012 - Writing letters to our Compassion children as a family. 8. Kiva. Kiva rocks. Basically: You make $25 loans to impoverished small business owners to help pull them from poverty. Choosing a borrower and reading their stories = Another great family activity. This two-sentence crash course definitely does not suffice, so check out www.kiva.org to see just how awesome Kiva truly is. 9. Seek Out Opportunities to Serve Together. It will be hard to find places where kids are allowed or where you all have a role in which you thrive. Don't give up. Keep trying and searching for a place where you all can serve together because it is so. important. to serve as a family. It was invaluable for me to, from a very young age, serve and engage with people from all walks of life. 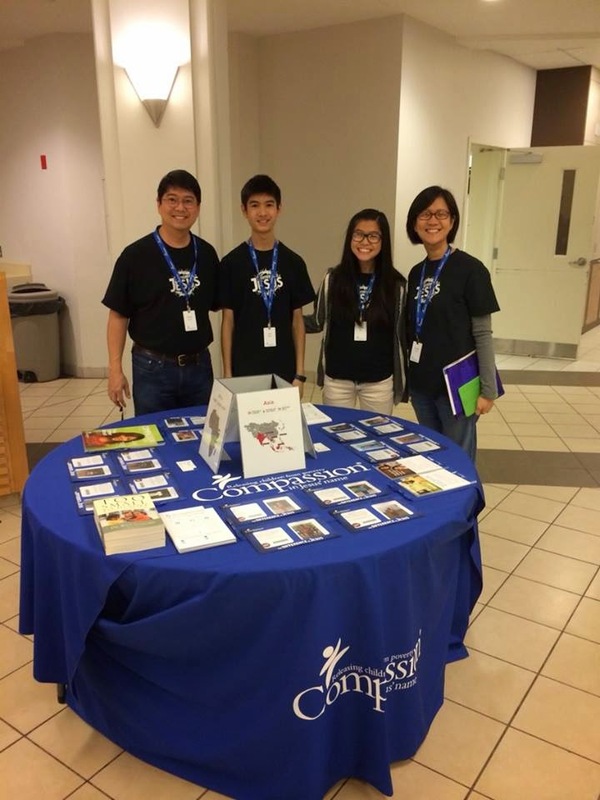 Fall 2014 - Volunteering at a Compassion booth at a local event - one of our favourite family activities! October 2012 - My dad and brother bring a bagged lunch to a homeless man on one of our sandwich runs. 10. Give & Make Opportunities to Give. Ever since I can remember, we've had what we call a "Shoebox Bin"... When my brother or I brought home a small toy or trinket from a loot bag, happy meal, etc., we were to choose whether to keep it or place it in the "Shoebox Bin" - our year-round collection of toys to place in Operation Christmas Child Shoeboxes come Christmastime. This instilled in me, at a very young age, the concept of sacrificial giving. This can happen in your home in a variety of ways... A change jar placed in the foyer [If your family is a little too old for loot bags and happy meals. ], emptying piggy banks to contribute to relief efforts after natural disasters, or making a rule of setting aside a portion of weekly allowance to be given away. One we've come to share with many other families! 11. Give Up Birthday Parties/Presents. For my brother's 10th birthday, he asked that instead of presents, people bring backpacks filled with school supplies for underprivileged kids in our city. For my Dad's 45th, everyone was invited to the local food bank to sort food together. These have been some of our most memorable birthday celebrations. September 2010 - My papa having a blast at his 45th Birthday Party at the Food Bank! September 2010 - My brother, Jon, and his birthday backpacks! 12. Vacation Intentionally. If you can vacation internationally, go visit your sponsored child. If you vacation locally or do road trips, find places to serve. Dedicate even just one day of your trip or vacation time to visiting a local ministry to learn more about their work and how you can support them or pray for them. 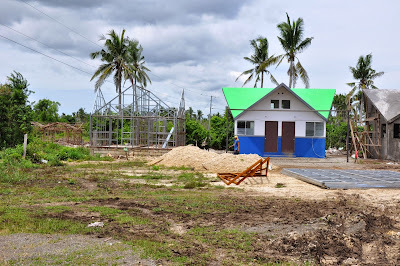 Summer 2014 - Flying into Masbate, Philippines to meet our Compassion girl, Florianlyn. Summer 2014 - Meeting Florianlyn! 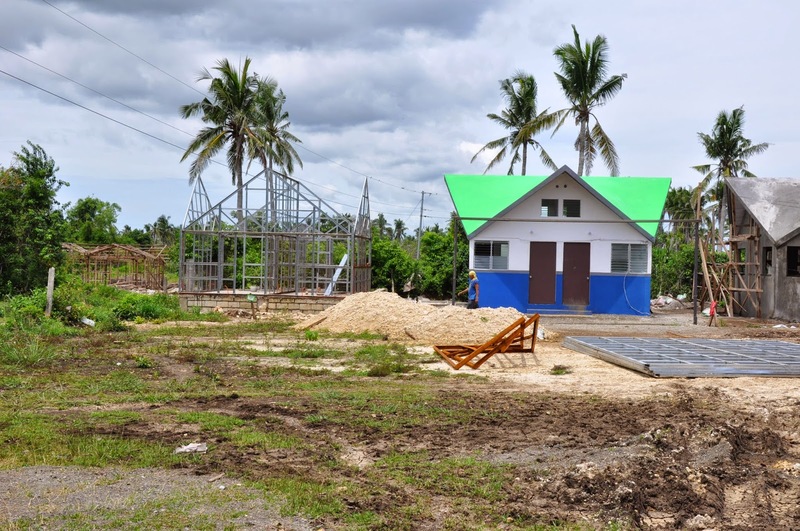 Summer 2014 - Visiting a Habitat for Humanity build site where homes are being built for Typhoon Haiyan victims in Daanbantayan, Philippines. Summer 2014 - Meeting our Compassion boy, JD, and a friend's Compassion boy, Jamson, in Cebu City, Philippines. 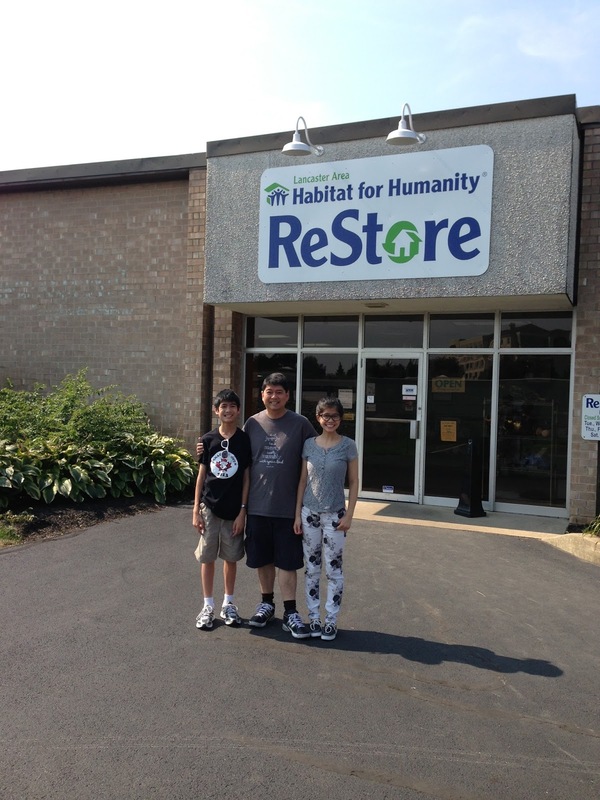 Summer 2013 - Visiting a Habitat for Humanity ReStore in Lancaster, Pennsylvania. 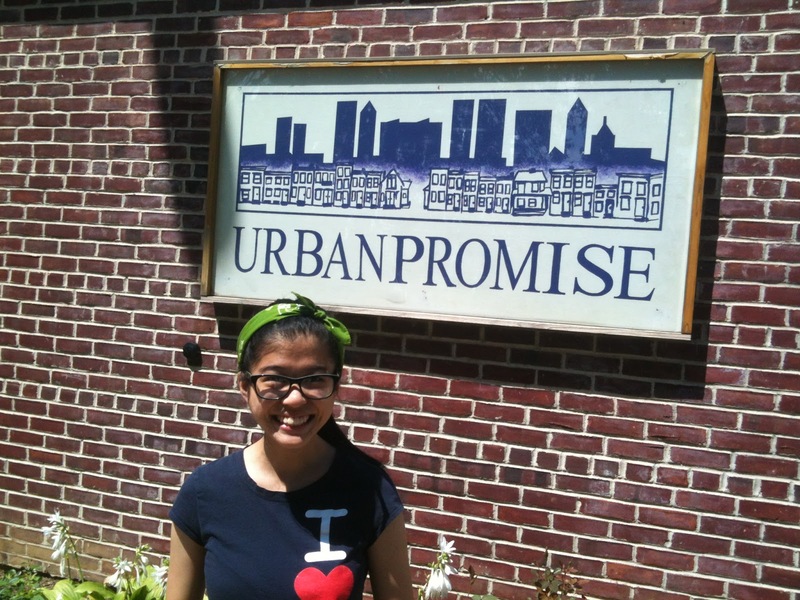 Summer 2013 - Visiting UrbanPromise in Wilmington, Delaware. Summer 2011 - Our first trip to the Philippines to meet our Compassion child, Florianlyn, and our then-future LDP student, Rechelle. 13. Buy Fair Trade. Coffee, Chocolate, and Sugar are the biggest culprits for being produced with bonded labour, child labour, and slavery. Next up is clothing. 14. Live Simply. One of the biggest things that my parents exemplified that allowed us to pursue compassionate living is saying no. I know, it's not really an exciting tip. But sometimes, we have to say no to buying the latest doodad or joining the latest extra curricular activity in order to say yes to God's call to serve and love the least of these. We had a rule in our house: We were each allowed one type of lesson or sport outside of school at a time. I believe that rule kept me [and definitely my mom] sane as a kid and it surely gave us time to say yes to various serving opportunities placed in our lives. 15. Make Compassionate Living Something You Can't Live Without. It'll get messy. You'll hate it sometimes. There will be many days where you wish you could simply go back to turning a blind eye to all the suffering in the world. Most days, it'll be easier to stay home and have family movie night or game night. But allow compassionate living to permeate your life. Allow pictures of/from your sponsored child to cover your walls, and compassion-centred events to fill your calendar, and social justice issues to fill your conversations. You'll soon find that, while there are still hard days, this lifestyle and the joy, hope and redemption it brings is something you can't imagine your family going on without. The bottom line here is this - Families and kids can make a difference together for their communities' and the world's most vulnerable and oppressed people. 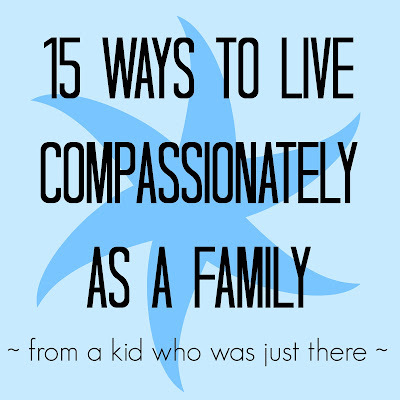 I hope this list and our family's journey inspire you and encourage you even just a little... to let compassionate living permeate your family's life and bring you closer to each other, to the world's vibrant people and places, and most importantly, to Jesus. 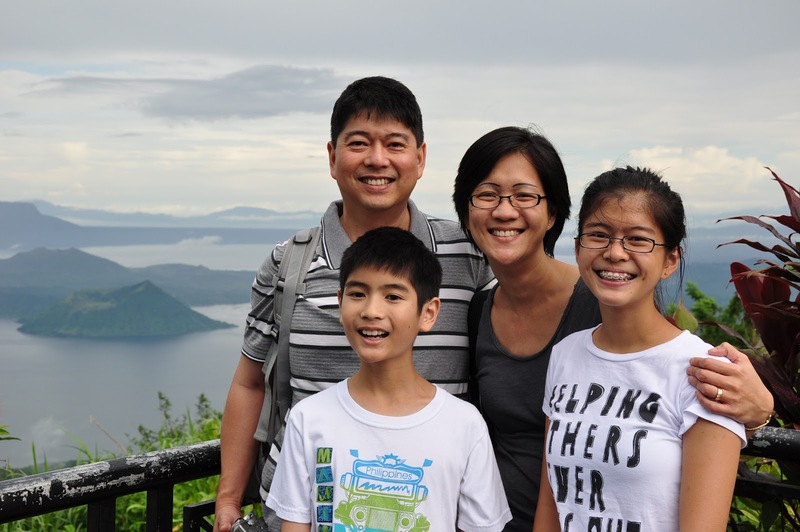 In what ways is your family engaging in compassionate living? I love these suggestions! So many are true of how I was raised and I love hearing what your family did. These are so helpful as we intentionally seek to raise our kids in the same way.